Home › Getting Started › Why is my Packing List blank? Acctivate does not allow the printing or re-printing of a Packing List once the order has been completed. The pack list will appear blank if nothing is scheduled and the order has been completed. 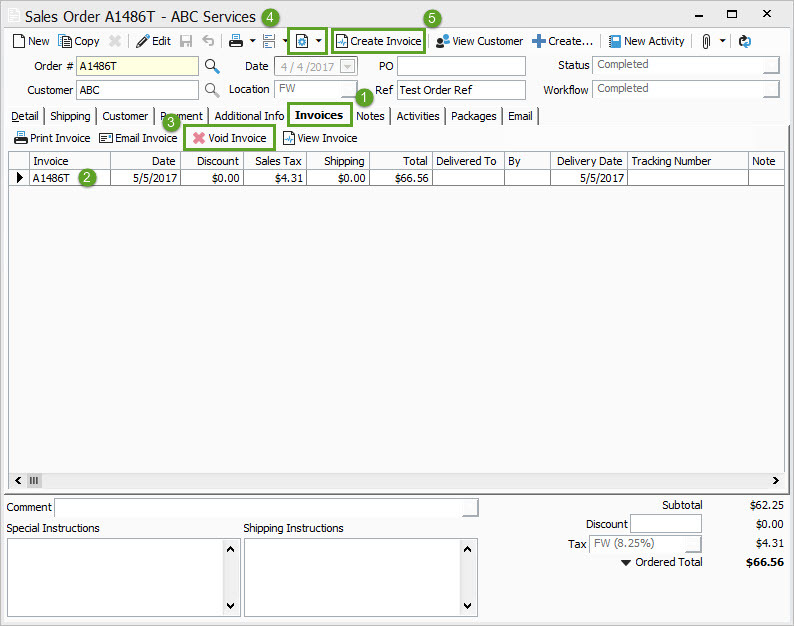 One reason Acctivate does not allow the packing list to be printed after the order has been invoiced is to prevent duplicate shipments to the customer for the same order. The standard packing list uses the scheduled quantity on the order. Once the order has been invoiced the next time you print a packing list it will only reflect the un-shipped newly scheduled items. If an order has multiple invoices each packing list only reflects the items being shipped at the time it is printed. This helps ensure that each packing list will only include what is being included in ‘this’ shipment and not the entire order. To Print/Re-Print a Packing List follow these steps. Click on the Invoices tab. Select the invoice to void.